From inside the fish Jonah prayed to the Lord his God. I am curious. Have you ever been swimming? Which is your favorite – swimming at the beach or swimming in a pool? Both can be tons of fun. Except when you accidently swallow water. Ewwww-Yuck! I hate it when that happens! I wonder if the great fish that swallowed Jonah thought that? Remember the story of Jonah? The prophet who tried to run away from God but was tossed into the sea and swallowed by a great fish. If not you can find the humorous version here. Being distressed is like when you are in your room at night and all snuggly for bed. Your parents kiss you goodnight and turn off the lights and close your door. In the dark you think you are seeing things. Maybe those things remind you of scary monsters or alligators under your bed. For a moment you panic and want to scream and holler. I bet that’s what Jonah wanted to do – scream and holler. Oh wait a minute – that’s what he did do! Jonah chapter 2 verse 1 says, From inside the fish Jonah prayed to the Lord his God. He said: “In my distress I called to the Lord, and he answered me… Smart Jonah! Not panicking and giving into his distress but calling out to God for help. That is what God does for us when we call out in our distress. When we pray and call out, God comes and shows us the way and makes us feel loved. We are not sure exactly how this comfort from God happens (we aren’t God so we can’t really know) but we know that somehow things get better. I think God’s comfort happens through the people that love God. They give us hugs and tell us how much we are loved by God. They remind us about the people of God who cried out when they were scared and turned to God for help – this way we know we are not alone and definitely not the only people who have ever felt anxious and panicky. God’s comfort also happens through a peaceful feeling that comes when you talk to God. 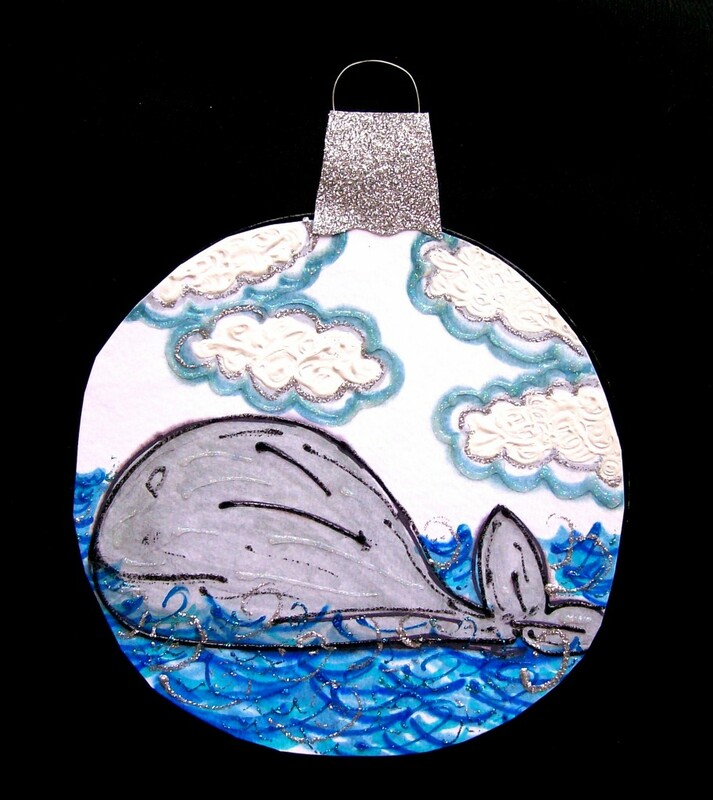 This entry was posted in Uncategorized and tagged Advent, Jesse Tree, Jonah by revbeth. Bookmark the permalink.